Dr. Alec Eden and "Doppler the Man"
Dr. Alec Eden presenting his lecture "Doppler Revisited"
Dr. Alec Eden (of Eden Medical Electronics, a pioneering firm in the field of transcranial Doppler ultrasound) became interested in the history of Christian Doppler and has done extensive research on his life and work. 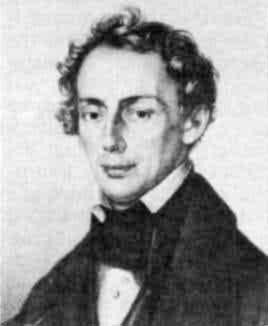 Much of his work is presented in his book The Search for Christian Doppler (Springer, 1992). In 1985 he presented a lecture at the Bowman Gray School of Medicine called "Doppler the Man". 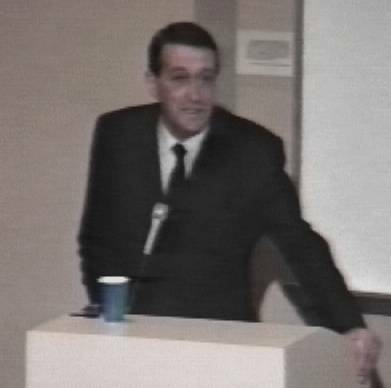 Five years later, on February 16, 1990, he presented an updated version of the lecture which he called "Doppler Revisited". 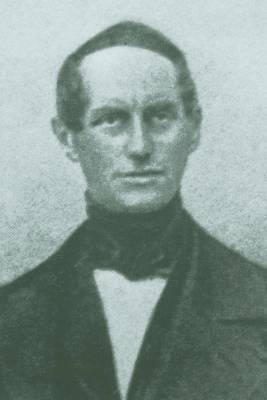 The link below will take you to a 2 minute excerpt from that 1990 lecture in which he discusses his discovery from baptismal records in Salzburg that Doppler's actual full name was Christian Andreas Doppler (not Johann Christian or Christian Johann as stated in most medical and general encyclopedias). In 1988 Dr. Eden was appointed by the State Government of Salzburg as the first president of the Christian Doppler Foundation there. download an MP3 player. Free player modules are available for both IBM and Macintosh platforms from RealAudio. Other options include Winamp for IBM-compatible computers or iTunes or QuickTime for Macintosh computers. 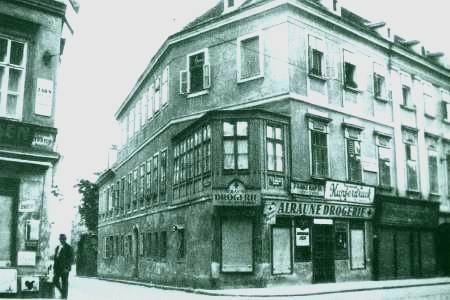 Photograph of the building where Doppler's Physics Institute was located in Vienna, Austria. The institute occupied the second floor and Doppler and his family lived on the third floor. The building is no longer standing.